Welcome to the complete guide to the Jack Russell Terrier. This small breed has a long and fantastic history. If you want to know more about the Jack Russell Terrier, keep reading. You’ll find everything you might be looking for here. We’re going to take you through the dog’s origin, description, and personality. The article also includes general care, health issues, and exercise and training requirements. Plus, we’ll give you some tips on how to find one, if you want to get your own Jack Russell Terrier puppy. The Jack Russell Terrier history is vast and exciting. It originates from Devonshire, England, and has been in existence for over 200 years now. This breed picked up its name from its original breeder, Reverend John Russell. It’s believed the breed can be traced back to his first Fox Terrier named Trump. Trump was a dog bought by Russell in the year 1819 when he met a milkman, who was in possession of her. Trump is said to have been a crossbreed of Black-and-Tan Terrier and Fox Terrier because of her appearance. Russell used this dog for hunting because of her intelligence and conformation. After Russell’s death, the dogs and their descendants were often used by sportsmen. They were crossed with various other breeds over time, including Dachshunds, terriers, corgis and assorted toy breeds. This caused variation in size, shape, and type. Over time, three separate breeds were developed and named after Parson Jack: Russell Terrier, Parson Russell Terrier, and Jack Russell Terrier. While very similar, each has its own separate breed standard. Unlike the other two, the Jack Russell Terrier dog is still not recognized by the American Kennel Club. Despite this, Jack Russells are well-known and popular dogs. This is thanks to several famous Jack Russell Terriers, such as Eddie from the television sitcom Fraser. These dogs are sturdy, tenacious, and powerful dogs, built for work. Jack Russell Terrier size is 10 to 15 inches tall. Jack Russell Terrier weight varies between 13 and 17 pounds. This breed has a flat skull, narrow, almond-shaped eyes that are dark in color, and a black nose. It also has thick ears that drop down and extend forward. Jack Russell Terrier dogs are known for their shallow and narrow chest and high-set tail. Overall, they are compact, healthy, and balanced dogs. Russell Terriers share many of the same characteristics and are often referred to as mini Jack Russell Terriers or short legged Jack Russell Terriers, to distinguish the two. This is due to the fact that they only stand 10 to 12 inches tall and weigh 9 to 15 pounds. Jack Russell Terriers can have either a smooth, broken, or rough coat. They possess dense double coats that shouldn’t be overly silky or wooly in appearance. At least 51% of their body is colored white, with brown, black, and/or tan markings. Often, they will appear to have large spots and coloring on their heads and ears. Any brindling is not accepted in the breed standard. These dogs, especially wire haired Jack Russell Terrier puppies, require brushing at least once a week. Regular bathing is also essential for this breed. It’s recommended that rough-coated Jack Russells be stripped or clipped at least twice every year. This can be done using a stripping knife, dresser comb, or an electric clipper. However, if you want your Jack Russell to be a show dog, clippers are discouraged. If not sure of how to trim your rough Jack Russell Terrier, consider bringing it to a groomer. Jack Russells do shed, albeit their small size and short coat mean it’s less noticeable than some other breeds. You should also be very diligent about brushing your dog’s teeth and keeping them clean to avoid dental diseases. If you hesitate to take action when your dog is suffering from dental disease, its lifespan may be cut short. The Jack Russell Terrier personality is dedicated and confident. These dogs are brilliant, fearless, vocal, and athletic dogs. They have been bred to be working dogs and need plenty of exercise. In fact, if not exercised enough, they can be moody and sometimes even destructive because they get bored quickly. Jack Russells possess great energy, which makes them a perfect match for dog sports including agility. These dogs have strong roots as fox hunters, so their prey drive can be quite high. This means that they can be aggressive towards small animals such as cats and rodents, especially when not properly socialized. Training and socialization are very important to teach a Jack Russell Terrier how to be a proper housemate and family member. This breed is well known for being healthy. In fact, the Jack Russell Terrier lifespan is between thirteen to sixteen years. Due to its hunting nature, Jack Russells may go after any small creature, given a chance. These dogs even go after skunks. Unfortunately, they are vulnerable to toxic shock syndrome from skunk spray. The skunk spray can be absorbed and make their red blood cells undergo hemolysis. This causes anemia or kidney failure. Additionally, if sprayed directly in the face, it can burn the dog’s cornea. Fortunately, there are ways you can flush the toxin out of your dog’s system. So if your Jack Russell encounters a skunk, make sure you consult your veterinarian right away. Some other known health issues include dental diseases, allergies, and mast cell tumors. Below are a few more that you may want to have your dog or the puppy’s parents tested for. The most common eye disorder in Jack Russells is called lens luxation. There are two types of lens luxation: posterior luxation and anterior luxation. This condition primarily affects Jack Russell Terriers between three and eight years of age. 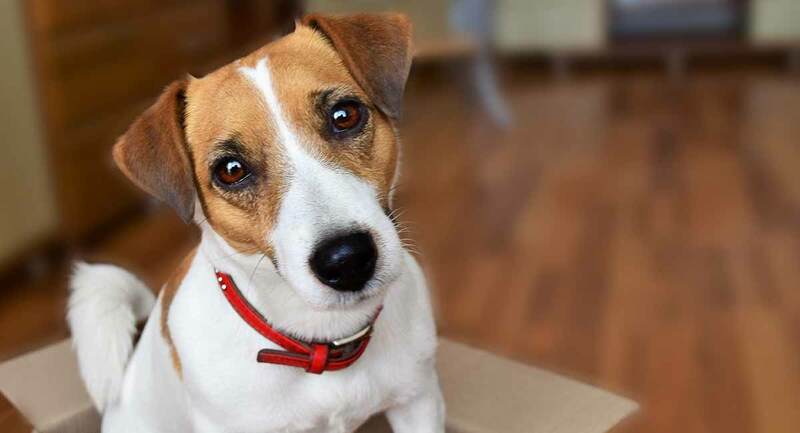 Jack Russell can develop or inherit eye problems from their parents. Such conditions can lead to blindness if not treated in time. One of the musculoskeletal conditions Jack Russells are likely to suffer from is patellar luxation. It’s a hereditary condition that causes the kneecap to slip. If the situation is severe, you may have to take your dog for surgery. The most common liver problem likely to attack your dog is called portosystemic shunt. This condition disrupts the normal blood flow to the liver and instead goes around it. You can test for this in a puppy before you buy it. Jack Russell Terriers are more likely to develop bladder or kidney stones than any other breed. If you notice signs, such as blood in the urine or that your lovely pet is unable to urinate, take it to your veterinarian. Hip and elbow dysplasia are also hereditary diseases. Your puppy can inherit them from their parents. So it’s essential that their parents get tested to know if they have the disease. Some of the symptoms of hip and elbow dysplasia are lameness and difficulty in getting up. If diagnosed with the disease, surgeries can sometimes be the only solution in life-limiting cases. Numerous neurological problems can affect Jack Russell Terriers. Some of the most common symptoms are weakness, imbalance, seizures, excess sleeping, etc. There are three types of seizures: reactive, secondary, and primary. Primary seizures are when the cause is not precisely known. Unfortunately, Jack Russells are prone to primary seizures. You can detect this disease as early as six months old. The Jack Russell Terrier is an active, intelligent dog. These dogs get bored quickly when not involved in regular, extended exercises. Regular exercises will not only make your dog a happier and better-behaved pet, it can also increase the Jack Russell Terrier lifespan. Apart from the above, you can also have a long walk with your dog every day. There’s one primary word for the Jack Russell Terrier temperament: intelligent. This makes the breed suitable for a variety of training activities. You should begin Jack Russell training early, and make sure its enforced consistently. Positive reinforcement can help this little dog learn all sorts of skills and traits. Taking your puppy to an obedience class is also a great way to socialize it and provide mental stimulation. Many Jack Russells love advanced training courses such as agility courses. Even though they are small in size, these dogs are not the best for apartment living. They are energetic and will do best in a home with a decent sized yard that is fenced in. If you can’t provide that, then you must be prepared to provide your dog with plenty of long walks and indoor exercise. The Jack Russell will have a natural desire to wander off and hunt, so it’s important to use a leash when walking one. These dogs may consider small animals, including cats, as prey and may not adapt well to them. Be careful introducing a Jack Russell into a house with any smaller pets. These lovely pets enjoy acting as your watchdogs because they can quickly identify a stranger and bark at them. If you’re bothered by a vocal dog, this may not be the best breed for you. Jack Russells need an owner who sets rules and limitations for them. If this is not taken care of, they may act as your boss. These dogs also need to be socialized early enough to allow them to adapt well to other dogs. These little dogs typically interact well with children. However, socialization and training are very important. In addition, it’s important to make sure children know to be well behaved and gentle. The miniature Jack Russell Terrier can become injured if they are handled too roughly by excited kids. So have you decided to buy a Jack Russell puppy? First, remember to buy a puppy no less than eight weeks old. Also, make sure to meet the puppy’s parents to ascertain that they are healthy. You will want to ensure both the parents and the puppy have been tested for any genetic traits or health issues, such as the ones discussed above. If you want a purebred Jack Russell Terrier breed, you can check out the Jack Russell Terrier Club of America for registered breeders. So how much are Jack Russells? The price ranges broadly, depending on location, breeder, parentage, and appearance. You’ll have to spend anywhere between $200 to $1,000 to land your desired puppy. Do you love the Jack Russell Terrier dog as much as we do? Anderson, A. Treatment of hip dysplasia. Journal of Small Animal Practice, 2011. Caines, D., Pinard, CL., Kruth, S., Orr, J., James, F. Autonomic dysfunction in a Jack Russell terrier. The Canadian Veterinary Journal, 2011. Disorders in Jack Russells: A Brief Definition. Jack Russell Terrier Club of America, 2018. Farrell, LL., Schoenebeck, JJ., Wiener, P., Clements, DN., Summers, KM. The challenges of pedigree dog health: approaches to combating inherited disease. Canine Genetics and Epidemiology, 2015. Franklin, RJM., Olby, NJ., Targett, MP., Houlton, JEF. Sensory neuropathy in a Jack Russell terrier. Journal of Small Animal Practice, 1992. Warland, J., Dobson, J. Breed predispositions in canine mast cell tumour: A single centre experience in the United Kingdom. The Veterinary Journal, 2013.